For decades, Harry Dean Stanton was mostly cast as a supporting actor, but he landed lead roles in Repo Man and Paris, Texas. In 2017 he starred as a 90-year-old atheist in Lucky. He's shown above in 1970. Stanton had a lifelong love of music. Above, he performs at Greenpeace's 35th anniversary celebration in Los Angeles in September 2006. Actor Harry Dean Stanton was cast in supporting roles for decades, and his weather-beaten face became a fixture on-screen for more than a half-century. With leading roles in the 1980s films Repo Man and Paris, Texas, he became something of a star and a cult favorite. His agent says Stanton died Friday of natural causes in Los Angeles. He was 91. The 1984 film Paris, Texas opens on a thin, weathered man wearing an old suit and a red baseball cap, wandering the desert with an empty water jug. That's Stanton, in his first lead role — at age 58. He's Travis Henderson, a beat-down guy who left his wife years ago, taking their son with him. He comes back and finds her in a Houston peep show, where he delivers a 10-minute monologue through a one-way mirror. She can't see him, but gradually, she realizes it's her husband, telling her the story of his life. The family reunites, and Stanton's performance as a lead actor — after decades as a character actor — made him a star. Stanton was born in Kentucky to a tobacco farmer father and a hairdresser mother. He studied theater at the University of Kentucky, served in the Navy in World War II, and then went to Hollywood. With his deep-set eyes and hawk nose he was cast over and over as an outlaw or an oddball. He appeared in more than 100 TV and film roles, from Cool Hand Luke to The Godfather Part II to the first Alien in 1979. Of course (spoiler alert) Stanton gets eaten by the Alien monster, and that's the way it was until 1984, when he starred in Paris, Texas and the cult classic Repo Man. Stanton was the Repo Man, Bud, schooling young Emilio Estevez's character, Otto. Every once in a while he was cast as a normal guy — he played Molly Ringwald's father in Pretty in Pink — but that was about it. Stanton was in six David Lynch movies and played the polygamist cult leader Roman Grant on HBO's Big Love. Occasionally you would hear Stanton sing; music was his other love — he sang and played harmonica onstage and off. In the 2012 documentary Partly Fiction, Stanton answered some deep questions from his friend and colleague, director David Lynch. His answers were sort of Buddhist and very Harry Dean Stanton. Asked to describe himself, he responded, "Nothing. There is no self." Asked how he wanted to be remembered, his answer was, "Doesn't matter." It may not have mattered to him, but the rest of us will remember Harry Dean Stanton as a singular presence on-screen. Harry Dean Stanton has died at the age of 91. He played supporting roles for decades. And then, as NPR's Ted Robbins tells us, he became a cult favorite. TED ROBBINS, BYLINE: The year was 1984. The film was Wim Wenders's "Paris, Texas." As Ry Cooder's guitar plays, the movie opens on a thin, weathered man wearing an old suit and a red baseball cap wandering the desert with an empty water jug. 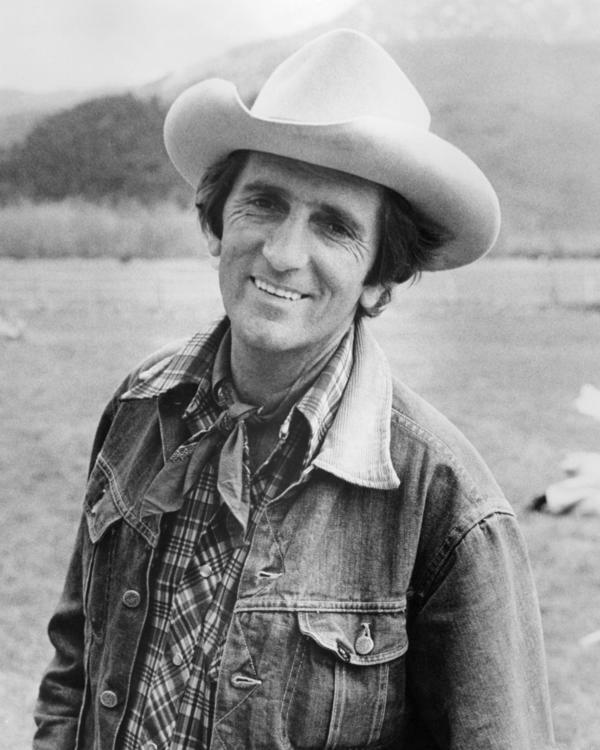 It's Harry Dean Stanton in his first lead role at age 58. He's Travis Henderson, a beat down guy who, jealous of his wife, took their son and left years ago. He comes back to find her in a Houston Peep Show, where he delivers a 10-minute monologue. NASTASSJA KINSKI: (As Jane Henderson) What people? ROBBINS: Travis talks through a one-way mirror to his wife, played by Nastassja Kinski. She can't see him. But, gradually, she realizes it's her husband telling her the story of his life. STANTON: (As Travis Henderson) He started thinking that she was seeing other men on the sly. ROBBINS: They reunite. Then mother and son reunite. Then after decades as a character actor, Harry Dean Stanton became a star. He was born in Kentucky to a tobacco farmer father and a hairdresser mother. He studied theater at the University of Kentucky. He served in the Navy in World War II, then went to Hollywood after. With his deep-set eyes and hawk nose, he got cast over and over as an outlaw or an oddball. More than a hundred TV and film roles followed, from "Cool Hand Luke" to "The Godfather: Part II" to the first "Alien" in 1979, where he was Brett, a tight-lipped spaceship crew member. YAPHET KOTTO: (As Parker) He can always get to a doctor when we get back home. SIGOURNEY WEAVER: (As Ripley) Whenever he says anything, you say, right, Brett. You know that? ROBBINS: Of course, Stanton gets eaten alive by the alien monster. That's the way it was until "Paris, Texas." Then also in 1984 came the cult classic "Repo Man." STANTON: (As Bud) Never broke into a car, never hotwired a car. ROBBINS: Harry Dean Stanton was the repo man Bud, schooling young Emilio Estevez's character Otto. STANTON: (As Bud) I shall not cause harm to any vehicle, nor the personal contents thereof, nor through inaction let that vehicle or the personal contents thereof come to harm. That's what I call the repo code, kid. ROBBINS: Once in a while, he played a normal guy - Molly Ringwald's dad in "Pretty In Pink." OK, that's pretty much it for normal guys. Stanton was in six David Lynch movies. And not too long ago, he played the polygamist cult leader Roman Grant on HBO's "Big Love." STANTON: (Singing) Glory, glory - hallelujah. On the pulpit of Juniper Creek. 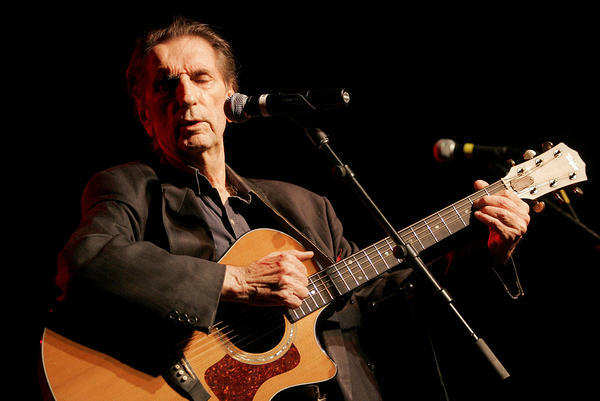 ROBBINS: That singing - well, music was Harry Dean Stanton's other love. He sang and played harmonica on stage and off. STANTON: (As himself, singing) I'm going where the sun keeps shining through the pouring rain. ROBBINS: That's from a 2012 documentary about Stanton by Sophie Huber called "Partly Fiction." In one scene, his friend, director David Lynch, asks Harry a couple of deep questions. The answers were sort of Buddhist and very Harry Dean Stanton. DAVID LYNCH: (As himself) How would you describe yourself? STANTON: (As himself) As nothing. There is no self. LYNCH: How would you like to be remembered? ROBBINS: It may not have mattered to him, but the rest of us will remember Harry Dean Stanton as a singular presence on screen. Ted Robbins, NPR News. STANTON: (Singing) I'm going where the sun keeps shining through the pouring rain, going where the weather suits my clothes. Transcript provided by NPR, Copyright NPR.